A low-carb version of a favorite American breakfast! 11. Melt coconut oil over low-medium heat. 22. Mix eggs, vanilla extract, melted oil, stevia and swerve using a hand whisk. Keep some of the oil to grease the pan. 33. Add coconut flour, baking soda and cream of tartar. mix well until combined. Add a splash of water if too thick. 44. 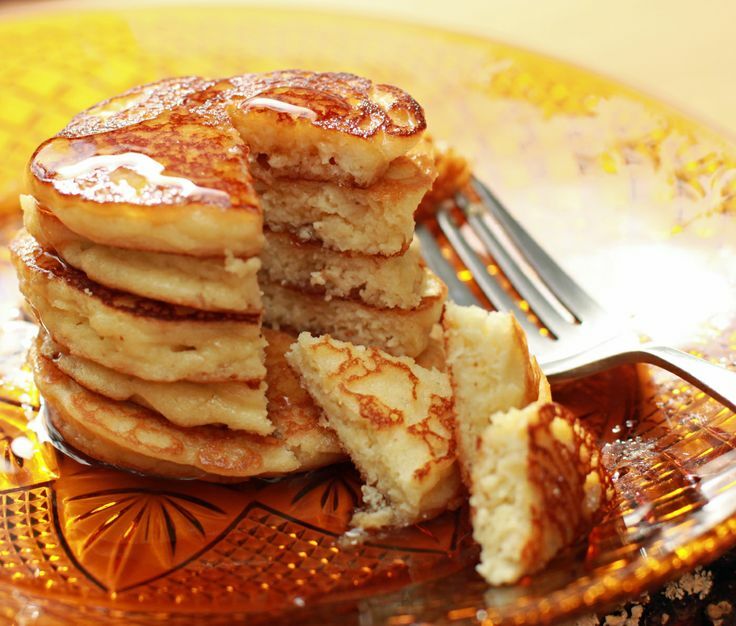 Grease a pan and pour enough batter to create 2 small pancakes for each serving. 55. Cook on low heat for about 5 minutes, until the top of the cakes starts to firm up. Flip and repeat on the other side for about a minute. 66. Top with your favorite low carb toppings such as sugar-free syrup, or whipped cream.